Bathing should be one of life’s pleasures. We spend over one and a half years doing it over our lifetime, so why not make it special! 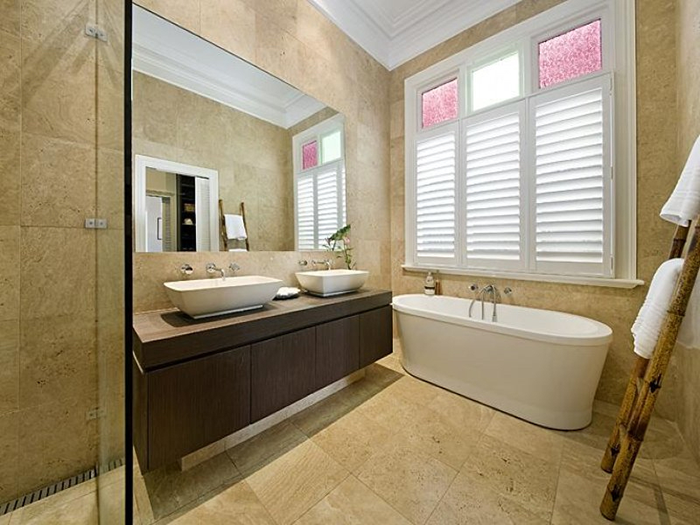 Distinctive Home Bathrooms will provide you with the very best bathing environment available within your budget. We will help with the selection and sizing of your fixtures to make the best use of space and movement. Over the years we have built up strong trading relationships with the best manufacturers and suppliers, enabling you to take advantage of amazing discounts. You won’t believe the savings possible when comparing our prices with the high street outlets and DIY stores. No matter how low our prices, we ensure exacting standards of workmanship throughout the project. 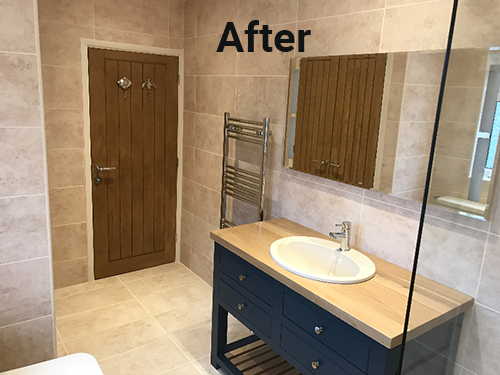 Our tradesmen are hand-picked, time-served craftsmen who take pride in their abilities and their attention to detail. Our client’s welfare and property come first. All work areas and passages are completely protected and all debris disposed of in an environmentally friendly manner. 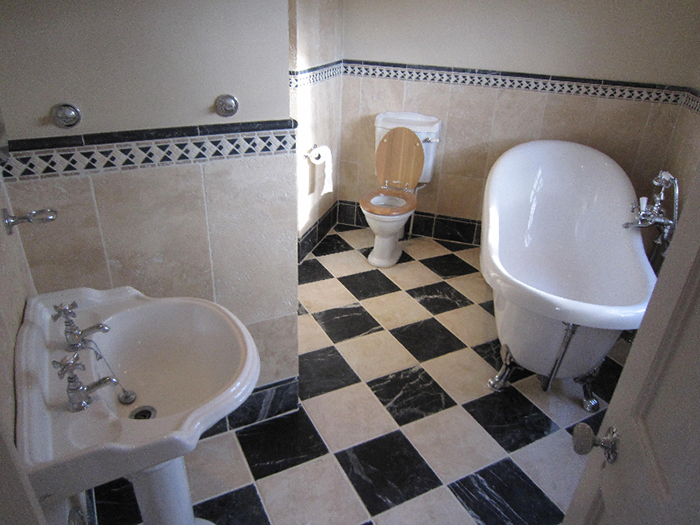 We understand that a new bathroom is a big decision and one that’s only taken once a decade or so. We'll talk you through every detail and show you what products are available for what price. We make sure that every decision is the right decision. 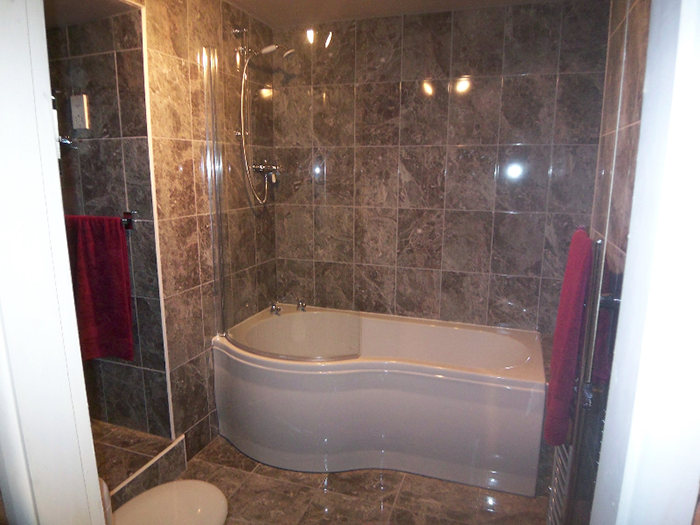 Take a look at this recently renovated bathroom. 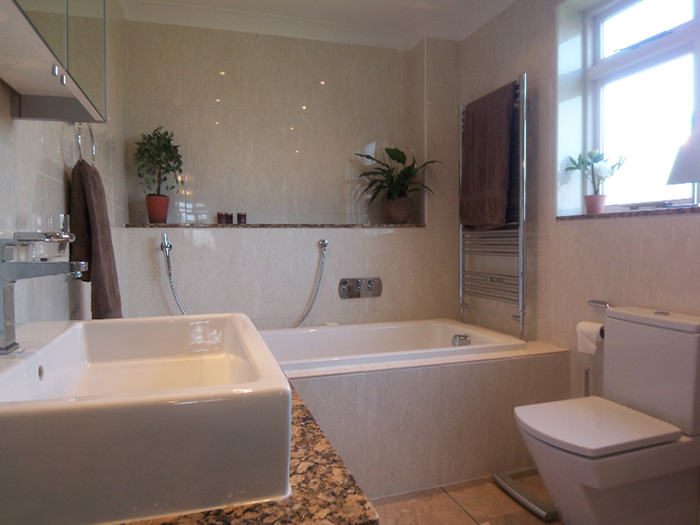 We can transform a tired and out-dated bathroom into a modern, sleek and beautiful space at an affordable price. 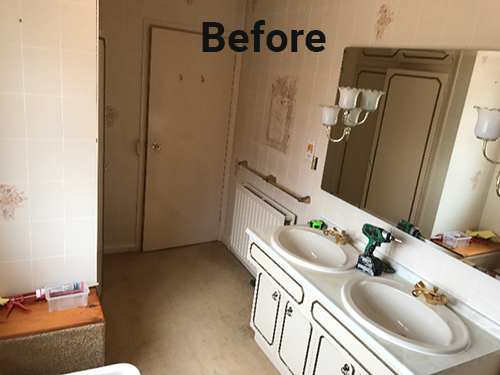 Contact us now for a no obligation quote to update your bathroom. Just let us know your requirements and we'll do the rest. With our trading links we are able to make huge savings against normal retail prices. We are then able to pass on these savings to our clients. In general we can usually save you between 20% and 40% on components. As our overheads are very low it means that our labour costs are also extremely competitive when compared with the retail park companies who provide expensive fitting services. As well as benefitting from our everyday low pricing structures, our valued senior clients can also take advantage of further savings including VAT discounts where applicable. All rights reserved © 2017 DH Plumbing & Bathrooms Ltd.
Company Reg. No. 7350647. Registered address: 54 Station Road, Ruskington, Lincolnshire NG34 9BZ.